Except for maybe buck hunters or glee club front-persons, wearing a vest endures as one of the most intimidating style gambles there is. Sure, vests have been around nearly as long as there have been torsos on which to rest them, but they’ve always been a bit impractical. They are, after all, jackets with the sleeves cut off. And to that end, for what? Do arms not require the same warmth that vital organs do? In a climate where bare limbs are comfortably free, shouldn’t a vest overheat your trunk? Truthfully, the answer varies from vest to vest. There are vests for dressing up and others, more simply, for dressing warmer. There are vests made specifically to rep an affiliation, like that of a street gang or the Boy Scouts of America, and there are vests designed exclusively to hold things like weapons or bait and tackle. There are even vests that stop bullets. Most important to us, though, are vests that look good. 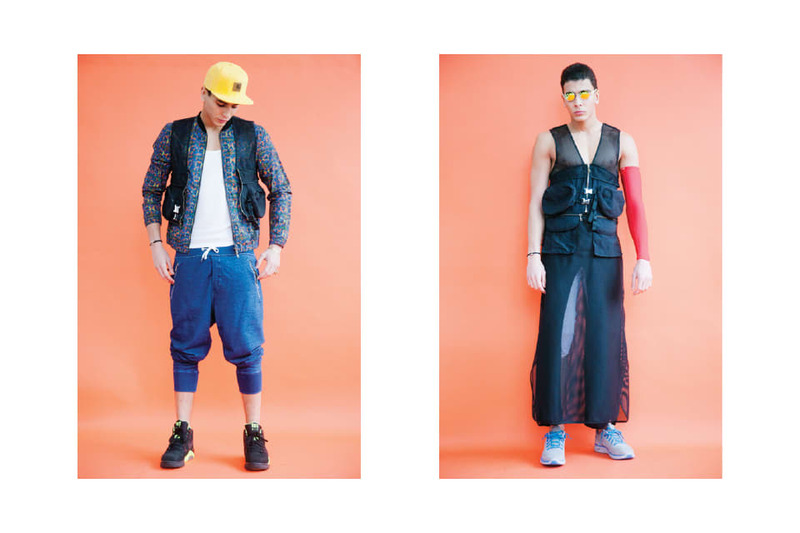 Luar Zepol, the avant-garde menswear brand designed by Brooklyn native and Dominican Republic-based Raul Lopez, is a big proponent of fashionable layering and includes far-out vests in every collection, delivering the kind of otherworldly runway pieces that inspire repurposing day-to-day style. 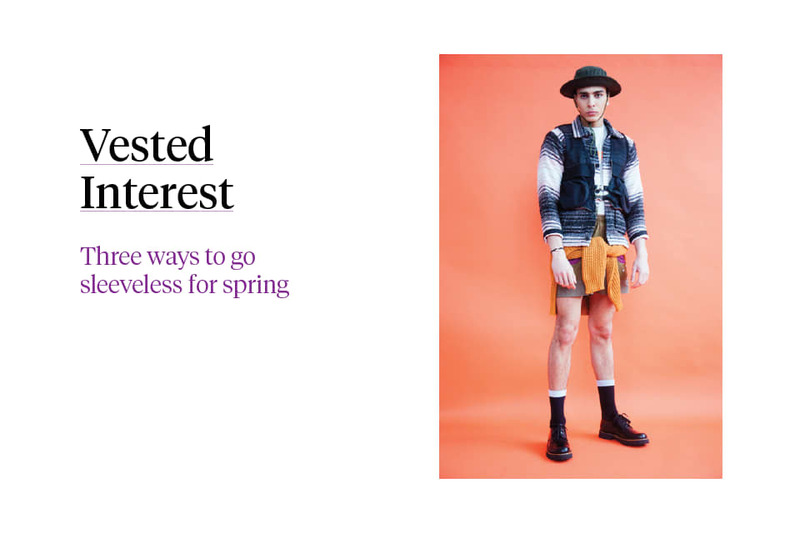 His spring collection’s take on the common fishing vest, which comes with a detachable skirt, is no exception. When paired with the right basics, it turns what is generally a functional item into a stylish outfit enhancer, perfect for keeping your arms loose but your core cozy. Here, we styled a Luar Zepol vest in three different ways to show you how sleeveless pieces can best punctuate your daily wardrobe, no matter what tribe you claim. Styling Deidre Dyer. Model Younes at Re:Quest Models. All vests throughout, Luar Zepol. Styling Assistance Dennine Dyer.